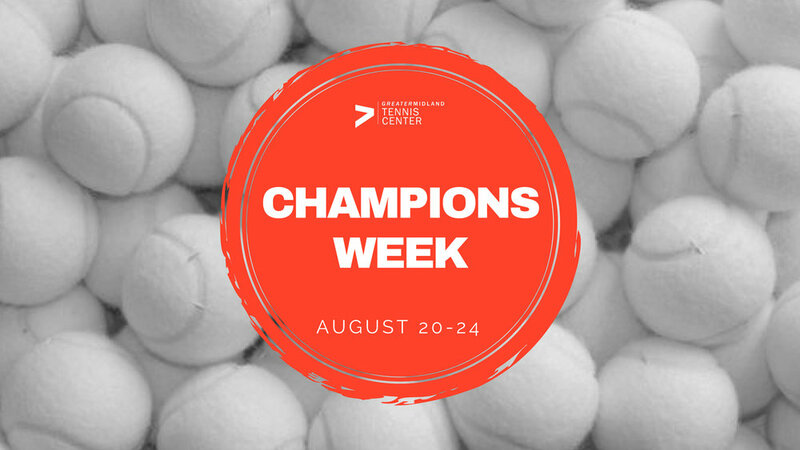 A fun-filled night of tennis, pool games and activities lead by Tennis Center Professionals and Swim Staff! It’s never too early to learn more about the amazing summer camp programs to be offered all across the Great Lakes Bay Region! Train with the pros to play like the pros! Touring pros will coach and train high school youth! Over 300 high school players from all across the state participate each year. FREE lunch provided to all participants. It’s 80’s Night at the Dow Tennis Classic! Dust off your totally rad outfits and get ready for a night of tennis, music, and like, lots of fun. Join us for Military Appreciation Night at the Dow Tennis Classic! Any active or retired military personnel can receive 50% off any ticket purchase! Hear right from the pros! Learn more about their journey to the DTC, their tennis game, and even ask questions first hand! Everyone is invited. Dow Tennis Classic I Net Generation Kid's Fun Day! The Dow Tennis Classic has something for everyone! Greater Midland Tennis Center Pro staff and instructors will provide a fun and energized tennis experience for youth kindergarten through eighth grade. Star Wars characters provided by Lucas Productions will even be making an appearance. Train with the pros to play like the pros! Sharpen your game and have a blast while you play with some of our traveling professional women’s tennis players. Limited space available, sign up now! Prepare a dozen of your best Christmas cookies and stop by for Cocktails & Tennis on Friday, Dec. 14 from 7-8:30 pm! Join us for this adult/child mixer that offers multiple-level play! Tennis Pizza & A Movie! Need a break, Mom & Dad? Just drop off your kiddos with us and then enjoy your Friday night! We'll keep them entertained all evening with tennis, followed by pizza and a movie! A hot weekend filled with tennis, margaritas and great barbecue! 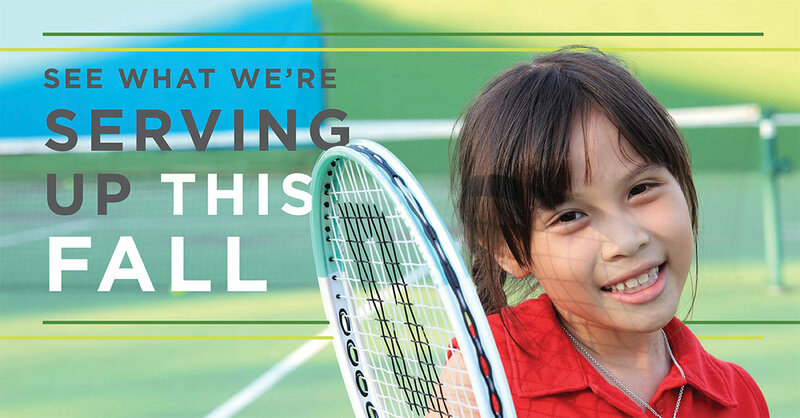 Help us create a vision for the future of the Tennis Center and the whole Greater Midland network! Break out your best costume for our Halloween Cocktails & Tennis on Friday, Nov. 2 from 7-8:30 p.m! Never played tennis before? Don’t be scared! This evening is for all skill levels. There'll be fun ghoulish games and dreadful drills, followed by kooky cocktails, a potluck, and a costume mixer with prizes! Kids Night Out is back on Friday, Nov. 2 from 6-8! Leave the kids with us while you enjoy a night out - or a night at Cocktails & Tennis! Bring the whole clan over for Family Movie Night! For only $15, you can enjoy games, food -- and a movie! Activities begin at 7 p.m.! 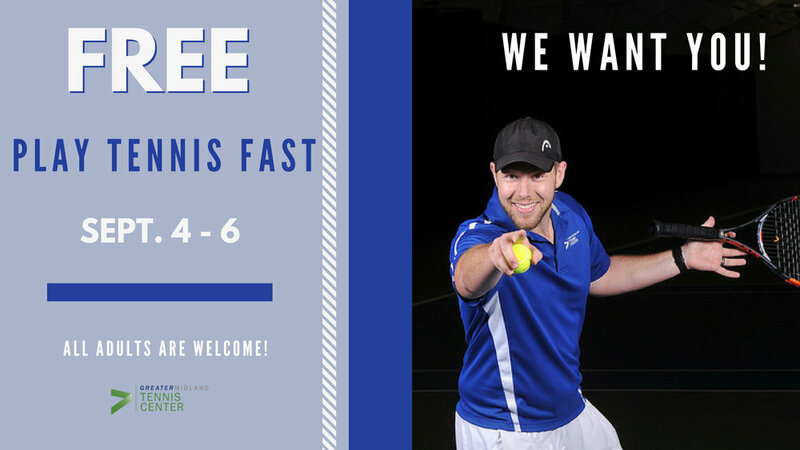 Play Tennis Fast is the perfect program for adults who are new to the game of tennis! It's an easy and fun way to get in the game! Because we love tennis and want others to love it, too, we're offering one week of FREE Play Tennis Fast from Sept. 4-6. Come over with a buddy and fall in love with tennis! Have you been itching to try our Tennis Clinics and meet our amazing staff? Then our Clinic Sampler is your chance! For only $5, you can test-drive clinics such as 1,000 Ball Drill, Cardio Tennis, Sweat it Off, and even our Doubles Clinic. Join us for this fun, one-day tournament designed for children and adults of all ages! Each age group will play on a different day. Grab a partner and join us for Cocktail Olympics! You'll compete in classic yard game battles for a chance to bring home the SVED Cup. Sign up now for the 2018 Pig & Pit Classic! This one-day adult doubles tournament has thirteen divisions covering all skill levels - even brand new players!! (One event entry maximum). The cost is $65 and includes two guaranteed matches, a t-shirt, a light breakfast, lunch, dinner and drinks, games and activities, and a DJ Jim Dorais-style party! Guests of players may also participate in the Pig & Pit festivities by purchasing a $20 wristband for food and drink access. Call the Welcome Center at 989-631-6151 to sign up. Registration is open until July 24, but a t-shirt cannot be guaranteed after July 19. Cocktails & Tennis presents: Beer and Brats! Cocktails & Tennis presents Beer & Brats! 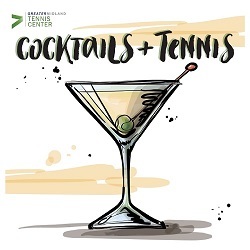 It's a special edition of Cocktails & Tennis on Friday, July 20. Sample brats (provided) and craft beer! Bring your favorite 6-pack and share with a friend! All tennis skill levels are welcome to join in on fun drills and games.